We are currently running about 4 weeks out on orders. When your order is placed, you can expect to receive it around 4 weeks later. If we are considerably faster or slower, we will update this page, and contact you upon receipt of your order. For custom orders that cannot be purchased through the website, or for orders you would feel more comfortable ordering by phone, simply make contact with us and we will work with you directly. Once an order is established, we will Paypal invoice you to complete the order. If you do not see the option you are looking for, or want to add something additional to what is already there, please contact us as this would be considered a custom order. If you have any questions regarding placing an order, or updating a currently placed order, don’t hesitate to give us a call or contact us. Regular fits the biggest majority of us, personal length straps w/out buckle are the best option. Take a cloth measuring tape, tape measure, or piece of string and hang it over your shoulder. 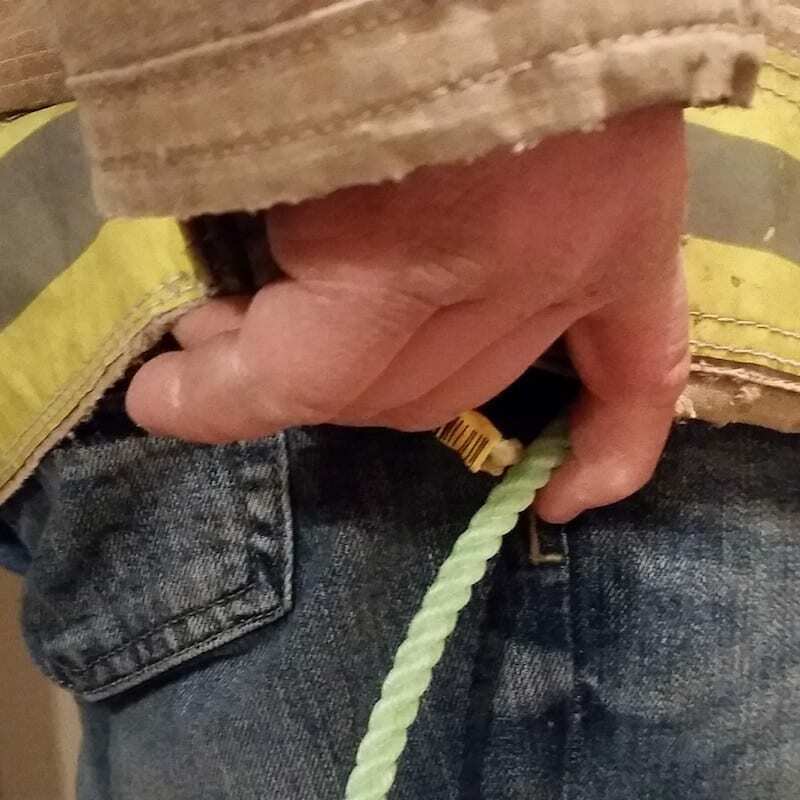 Hold the place on the tape/rope where the top of the radio bucket will need to sit, usually at the bottom of your bunker coat, to prevent bunching of gear when worn under your coat. 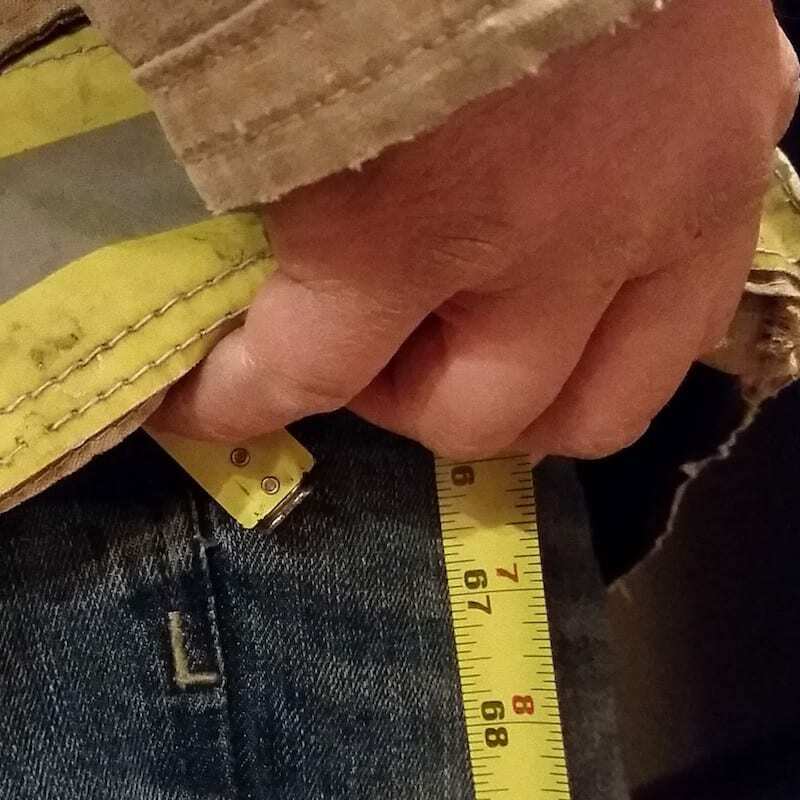 Either record the number in inches on the tape or measure the total length of the rope where marked. Find the size of strap that best fit your length, leaving a little room for adjustment. Every product we make is guaranteed to last, we are happy to warranty any items that have workmanship or material defects. Please understand that our products can/could break, when put under extreme abuse or misuse. We all understand how fireman are, we can break anything. If damage is due to misuse, abuse, or that “freak accident”, please be honest when you contact us, and we will work with you on a solution. Unless item received was grossly misrepresented, no returns are accepted. Every single item on our website is built by hand at the time that it’s ordered. We are a one-man shop, and there are way too many combinations of colors, liners, arts, styles, sizes, etc to be able to stock any “ready to ship” custom inventory.